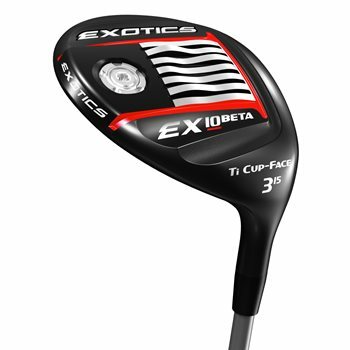 The Tour Edge Exotics EX10 fairway features a new Japanese high density, steel cup face that provides staggering COR all over the face. The steel cup face is combo brazed to the hyper-steel body to produce extraordinary power. The SlipStream sole has shallower channels between the rails and is more compact overall to ensure minimal turf interaction. The new head profile reduces aerodynamic drag for faster club speeds and the head has a heavier 9-gram changeable sole weight housed in a 12-gram weight pad to achieve a lower and deeper CG than previous models.